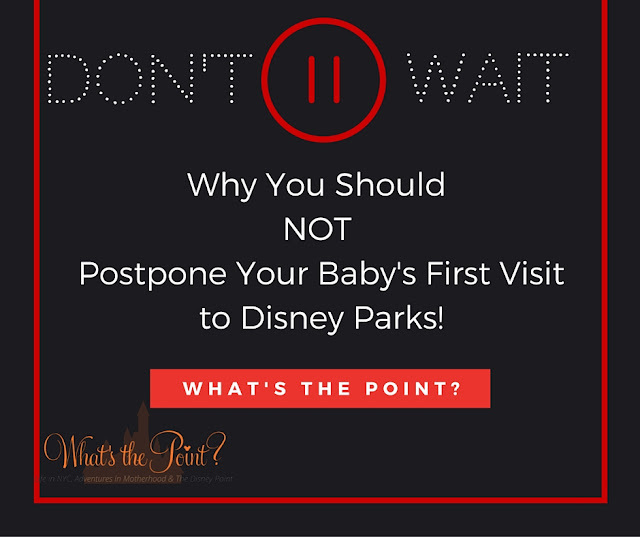 Why I Took My Baby to Walt Disney World | What's the Point? Once upon a time I was that person. I was single or newly married. I thoroughly enjoyed my adult trips to Walt Disney World. I saw firsthand the struggle of parents with small babies. I declared (more times than I can count) that I would never take my children to Walt Disney World Resort until they were seven or eight. No babies on my Disney vacations. So when my mom posed the question to me on my maternity leave, when I had a brand new one month old, I even surprised myself by my response. "Do you want to bring Ryan to Disney in December to celebrate his first birthday?" she asked nonchalantly. "Yes absolutely," I declared without thought. I've heard all of the opposition myself. I may have made these arguments myself. Whenever I hear someone tell me that he won't even remember it I immediately dismiss it. 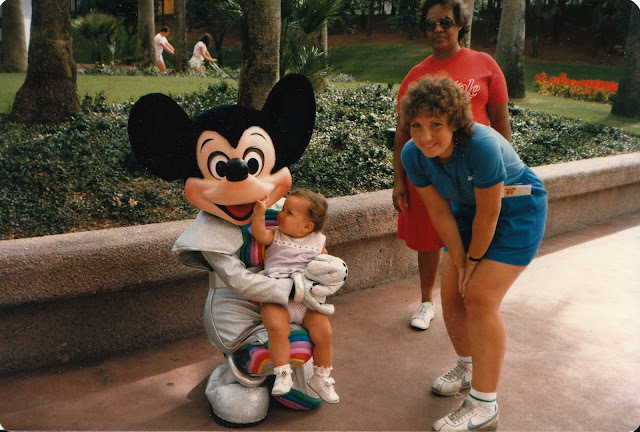 I don't exactly remember my first trip to Walt Disney World, but I do remember the stories which my parents and grandparents gleefully told over the years. They told me about how they piled me into a car and drove me from New York to Orlando and how my grandfather was so excited to see Epcot. I had only six short years on this earth with my grandfather. I unfortunately don't remember him all that well. But, what I do remember are the stories. And what I do treasure are the photos from this trip. I recall how my parents told me how he tried to argue with the mariachi band in Mexico (in Italian) when they came out to play a set because I had just went down for a nap. I cherish the photos of me with my grandparents who looked like the happiest people on the planet. So no, I don't remember my first trip. But it was important both to them and to me. I wanted Ryan to have that same experience. When you have something you love, you want to share it with the people you love. This is no different when the person you love is a baby. Ryan had no choice but to be a Disney baby. I had a Disney baby shower, the theme of his nursery is the Magic Kingdom and his infant photos included a Mickey outfit. I wanted him to see it for himself. Just like my first trip to Walt Disney World with my husband was special, this was as well. We've been singing songs like "There's a Great Big Beautiful Tomorrow" and the welcome show with him since he was born. In addition, we're Disney Vacation Club members. We figured that if the parks were too difficult, we could always retreat to our villa. It worked out perfectly. Ryan had his first "welcome home." You've heard the stories. People save up a ton of money, take their kids to Disney World...and they scream bloody murder when they see Mickey Mouse. Here's the great thing about one-year-olds: they don't know they should be afraid. They also are incredibly observant. I truly felt like he enjoyed himself the entire trip. He smiled when he was happy. He watched the shows and danced to the music. It was magical! Over the next few weeks, I'll be documenting my trip. I'll share what worked and what didn't work, and what you should do to prepare for your first trip with a new baby. Thanks for reading!